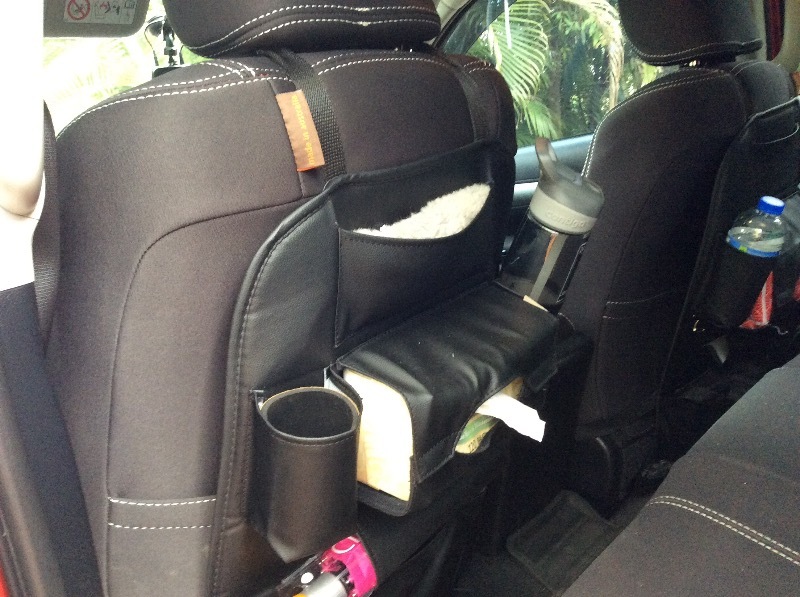 Multi-purpose use as an all-in-one Faux Leather Car Back Seat Organizer, Kick Mat and Seat Protector! Available in black, camel, maple and cream. Our popular car back seat organizer is now available in premium faux grained leather to complement your car seats! Are you tired of trying to keep your car clean? Are your kids constantly leaving clutter lying around your car? Can you never find anything? If this sounds like you, then you need the all-in-one Multi-purpose Car Back Seat Organizer! With 7 pockets available plus two additional hooks, fit all of your items exactly where you need them to be. The organizer comes with both seat back buckles and bottom straps for you to choose how you want to secure it. Very useful product and premium quality material. It blends in very well with the car seat and can really store a lot of practical things. Nice material, easy settled, great seat organizer.